Paintless dent removal in Statesville, NC is one of the best ways that you can save money on the traditional cost of dent repair services. In most cases with body repair services, a repair specialist will have to remove a variety of panels from your vehicle, repair dents and then completely repaint the surface. With new tools it’s now possible to perform dent removal without sacrificing the finish on your vehicle. At Piedmont Dent Repair in Statesville, NC we perform paintless dent removal that will keep your vehicle looking its best after an accident or damage. As long as the area surrounding the dent does not have a compromised finish, we can perform this type of dent removal process and ensure that you don’t have to go through insurance or pay insane out-of-pocket expenses for dent removal. This process is also faster than a traditional dent removal service. Rather than having to lose your car for a few days because of some body work, we can perform mobile dent repair and help you receive a quote on site for the process of your dent removal. The Piedmont Dent Repair technicians can arrive and perform an assessment for mobile dent repair near me. These types of dent repairs work well for hail dent removal, minor accidents and more. If you need mobile dent repair services in Statesville, NC, contact us at Piedmont Dent repair for more information. We can perform fast dent repairs at a site of your choosing and bring your vehicle back to its original condition. Keeping your vehicle looking its best has never been so convenient or so reasonable. 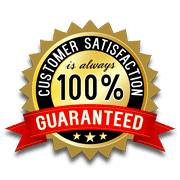 Our paintlessdent repair services in Statesville North Carolina are also backed by a satisfaction guarantee. We make sure that our customers are 100% satisfied with their work or we will redo the repair for free. If you are in need of paintless dent removal or a mobile dent removal for hail damage repair and more, contact us at Piedmont Dent Repair today. We can provide a free quote for your repair now.